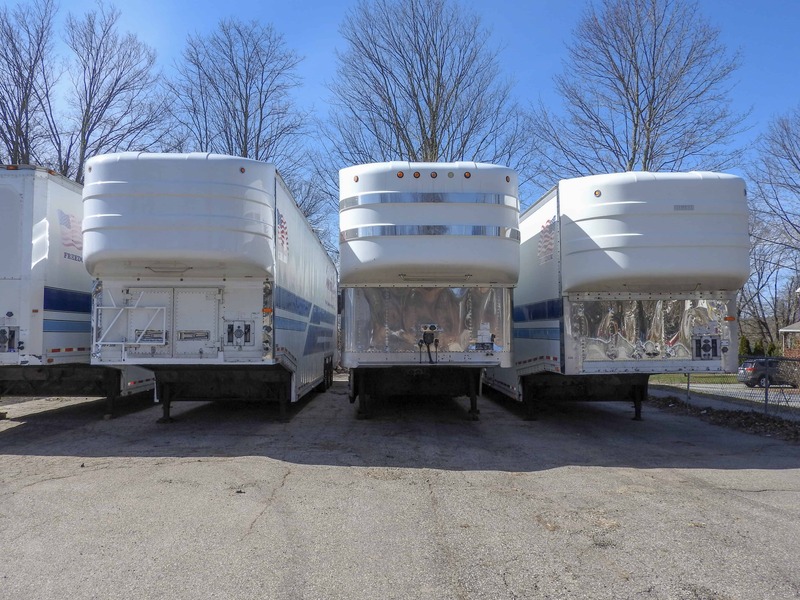 Intercity Lines has 53’ Kentucky 6-car enclosed trailers for sale. All of these were purchased new by Intercity Lines and come with complete service records. 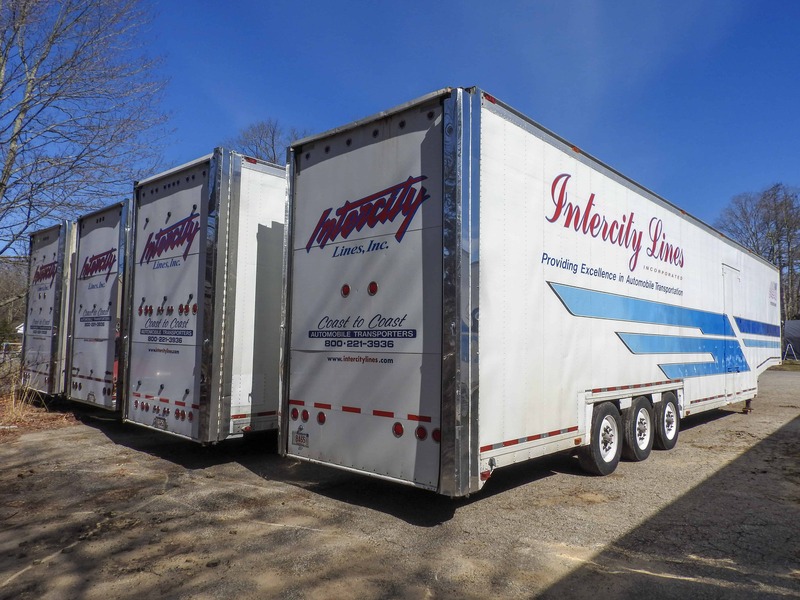 Each enclosed trailer has been recently serviced by Intercity Lines Garage and should provide many years of dependable service for the new owners. 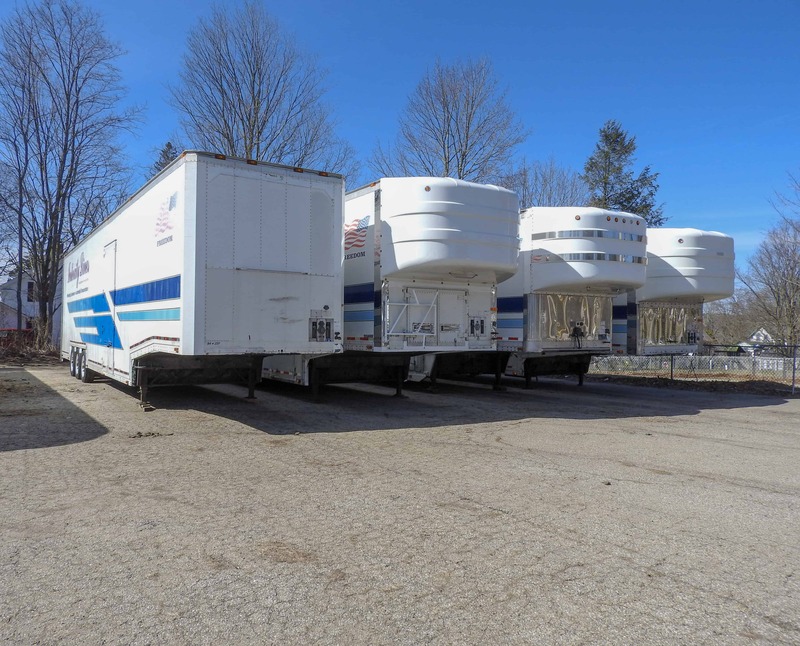 Each of these enclosed 6-car trailers have three individual, hydraulically adjustable, second level decks, a rear mounted hydraulic lift-gate and are set up to be operated by a hydraulic PTO driven by the tractor. We can also install a 12VDC pump assembly inside the trailer in lieu of the tractor driven PTO, the estimate for this is about $2500. 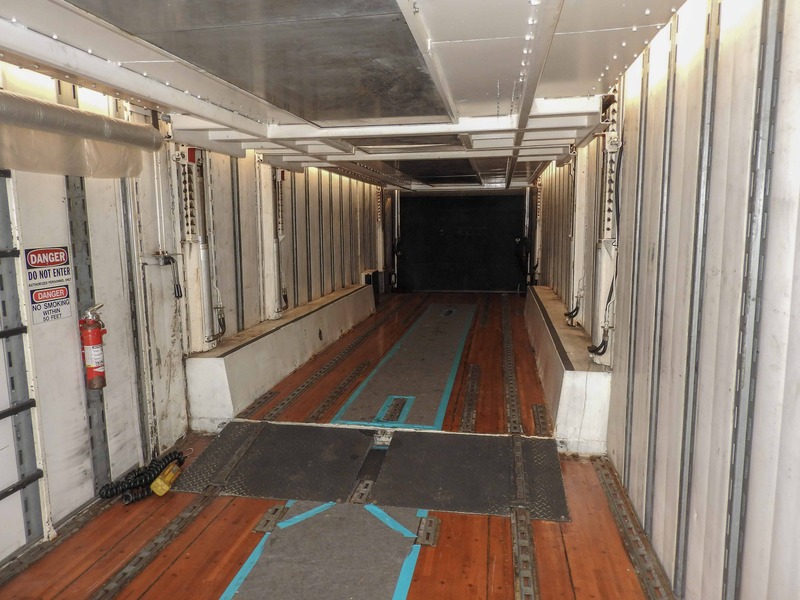 Each trailer uses Series “E” track mounted to the floor/upper decks to securely tie-down each car. 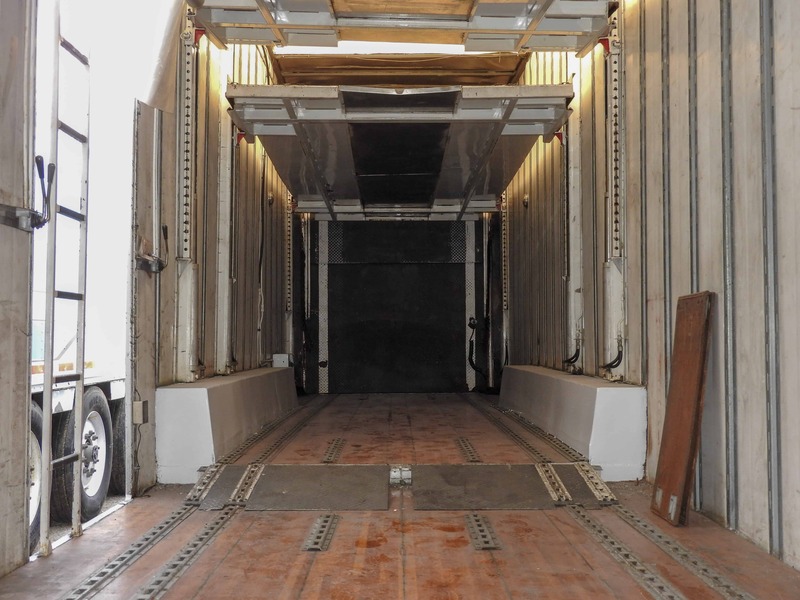 WHY A TRI-AXLE 6-CAR TRAILER? It’s simple! 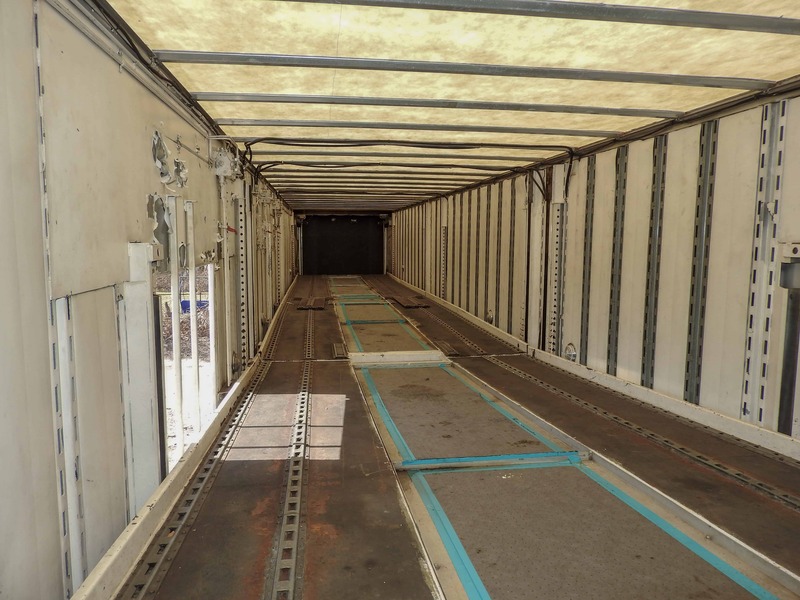 Because of current bridge laws, a tri-axle trailer configured as these Intercity trailers can scale from 39,000#s to 42,000#s on the trailer axles. 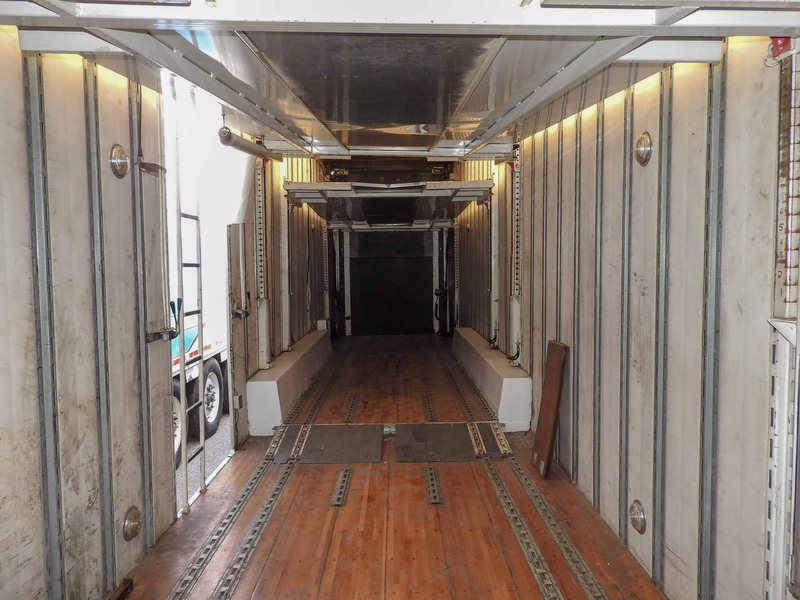 This makes these enclosed trailers especially useful for “snowbird” loads or other heavy vehicles. 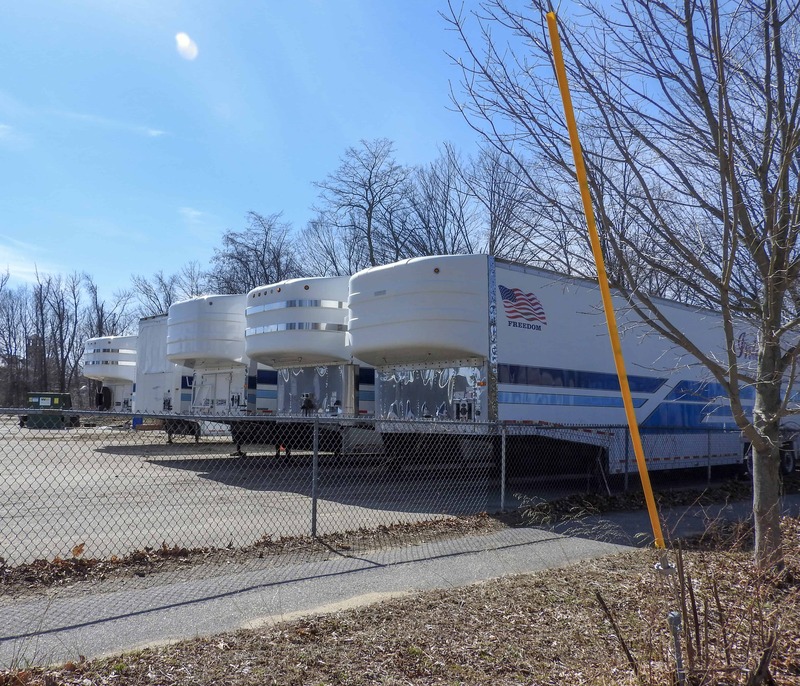 Typical trailers with tandem rear axles can’t exceed 34,000# on the trailer axles. Our tri-axle trailers solve the problem of heavy loads.